Water safety is an attitude that is built up through repeated experiences. Therefore, BEHAVIOUR in and around water is very IMPORTANT. 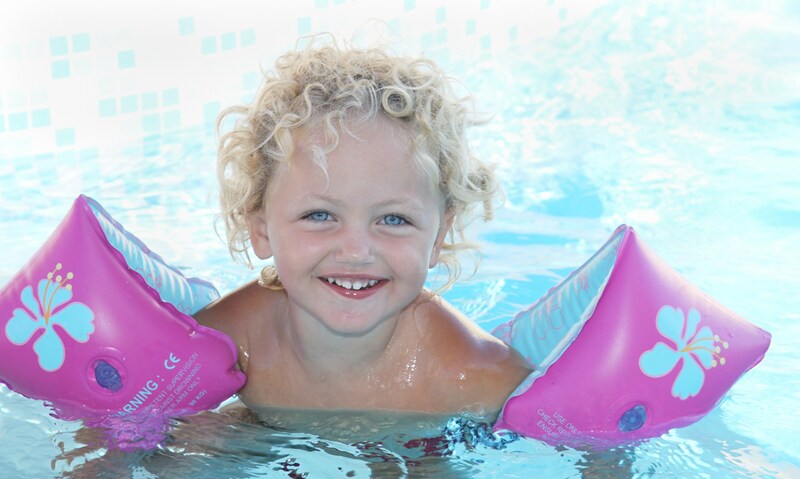 The commonly referred terms include head first entries, jumping entries both of which encourage the child to jump and submerge into water whilst the instructor or parent rescues them. The association of “1,2,3 jump” and I will catch you, is creating a DANGEROUS behaviour for children in and around water. Furthermore, teaching children to associate nursery rhymes and songs such as “humpty dumpty” whilst they fall into the water and rescued by their parents is giving children a false sense of security, because what happens when the parent is not there to catch them? Children are inherently curious and inquisitive. They don’t perceive danger or have the knowledge to assess an environment to be safe or unsafe. As parents/carers, educators and as a community it is our job to protect them. That doesn’t mean we should remove all possible dangers, because that isn’t reality. We need to equip our children with the skills and knowledge to respond appropriately to dangerous situations and environments. Although certain explorative behaviours are normal, parents and caregivers must provide adequate supervision at all times. In Australia, 100% of toddler drownings occur when the child is not being supervised and nearly 80% of drownings in young children occur due to FALLS INTO WATER. Yes, we need to be introducing children to safe entry practices, but most importantly the child needs to be skilled to SURVIVE in the water BEFORE they are taught to enter independently. That’s why at Kids Aquatic Survival School we don’t encourage children to jump into water until fully skilled. 4. In a vertical swimming position. Whereby the child lifts their head to breathe and generally swims in a vertical position rather than horizontally. The above-mentioned are aids we do not use in our KASS survival program and therefore when the child commences lessons with KASS, they might be out of their comfort zone initially. Once these bad habits (if any) have been overcome, we find older children progress very quickly as they are usually already water aware. When infants and young children commence swimming lessons with KASS we encourage them to roll over to float for every breath. With older children they may not need to roll over for every breath as they have the strength to lift their head. We therefore, encourage the child to swim horizontally with their head down in the water, take a breath and again head down to swim. Older children still need to be able to hold and maintain a floating position in order to rest if safety or the edge is too far to swim continuously. This enables the child to break up a large swim distance into shorter more frequently swims. In addition, older children may refuse to open their eyes under water without goggles. At KASS we want children to be comfortable to swim without goggles and they are not permitted whilst undertaking survival training. The reasoning behind this is should a child accidentally fall into water, they may not be wearing goggles and we want the child to not panic and open their eyes to see where the steps, edge or safety is. Call 1800 543 779 or email info@infantswim.com.au to book your child into our accelerated survival program to increase their water safety. Why? It is unsafe for an infant to blow bubbles as this dramatically limits the time they could hold their breath if they ever got into trouble. They also need air in their lungs for buoyancy. At KASS we have and ALWAYS will focus on learned breath control as a FIRST priority in all lessons. Breath control is a child’s ability to hold their breath before they go under the water. KASS also teach children to roll over and float if they need to take a breath. As most children under the age of 2 are not yet physically capable of independently lifting their head out of the water to take a breath. In our experience and through the way we teach breath control to children through our survival program, we have not found the need to teach infants and toddlers to blow bubbles. Teaching a child to blow bubbles too early makes them less safe and can cause a range of problems. This is one of many reasons that we don’t teach survival lessons to children who are aged under 6 months. We use specific methods to establish breath control and teach children to hold their breath when their mouth and nose is submerged in water. This practice keeps air inside the lunge, which in turn, increases buoyancy. If a baby or young child has lungs full of air, they will stay close to the surface easier, giving them time in an aquatic emergency. Blowing bubbles teaches infants to empty their lungs, which increases the chance of sinking under water faster. The theory is that blowing bubbles to release air keeps children from inhaling water (aspirating). The reality is, when a child is properly taught breath control with correct professional instruction from the beginning, their body automatically protects itself from water going into the lungs. In our lessons, children learn to respond to the natural environment rather than a person. Over 13 years of teaching a full range of children including children with special needs, we are yet to encounter a child that has not responded to our methods of establishing breath control. In our opinion, teaching a child to blow bubbles too early makes them less safe and can cause a range of problems. Babies need to hold their breath so they can submerge and swim distances. Blowing bubbles will increase the chance of the baby inhaling and ingesting water. At KASS, we wait until breath control is well mastered before we teach children to exhale their bubbles underwater. By the bubble blowing stage the child has already learnt breath control, swimming to the edge or safety and independent floating. At this point they progress onto transitional lessons where diving for submerged objects and stroke is introduced and the slow release of breath is monitored and instructed. This is now industry knowledge. Even our biggest critic, Laurie Laurence has shifted his swim teaching philosophy and no longer condones bubble blowing under 2 years in his lessons, because he “noticed that as soon as babies blow out their bubbles then they must take a breath in”. (See article link below). At KASS we are always looking at continual improvement with keeping the child’s safety always paramount. That is why at KASS, once the child has completed the Survival program and is fully skilled, they perform their newly learnt skills in full winter clothing including shoes and nappy. This is a vital step because it is a very different sensory experience swimming or floating in clothes. To ensure the child has an understanding of what it feels like to perform the skills in clothes, we simulate this in a safe and controlled environment so should they ever fall into water fully clothed, it won’t be the first time they have performed this skill.